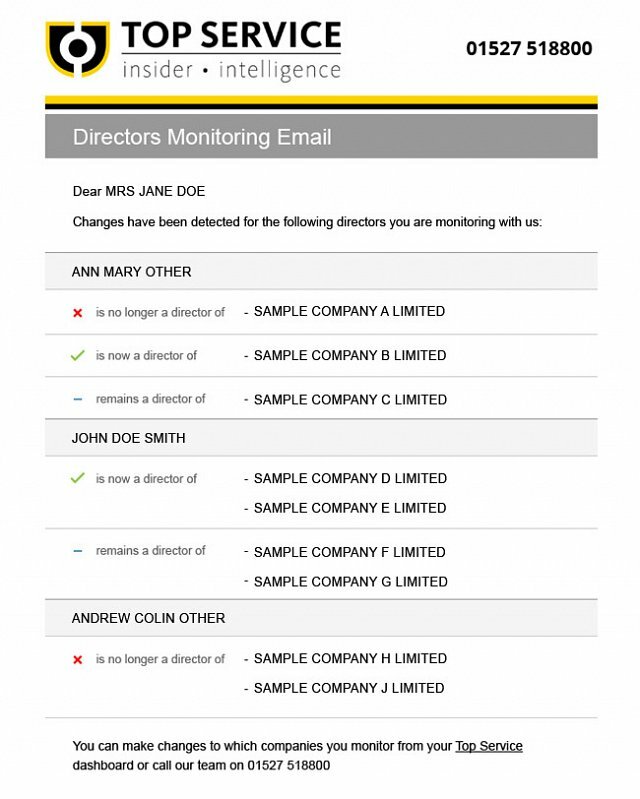 As well as monitoring companies, you will have the ability to monitor individual company directors. Our director monitoring service will inform you if a director is appointed at another company or if they resign any of their directorships. Has a similar name to the failed company. Carried out the same trade as the failed company. Trades from the same address as the failed company. Has the same directors as the failed company. A phoenix company will typically be set up before the original company goes under. This is a common occurrence in the construction sector and is not illegal unless it can be proven that the directors deliberately defrauded creditors. Can you afford not to keep tabs on the people that are running the companies that you extend large amounts of credit to?